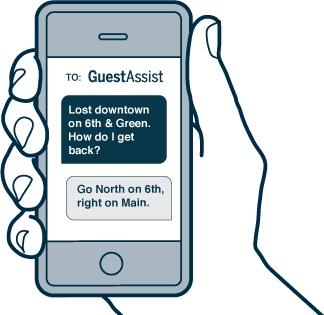 Empower your guests with GuestAssist Hospitality, a text message based communication system. Better the experience. Better your brand. "It is like a life-line to your guests -- with GuestAssist we can answer questions quickly and get people where they need to be." A new way to manage presentations at conferences & meetings. Coming Soon from GuestAssist.